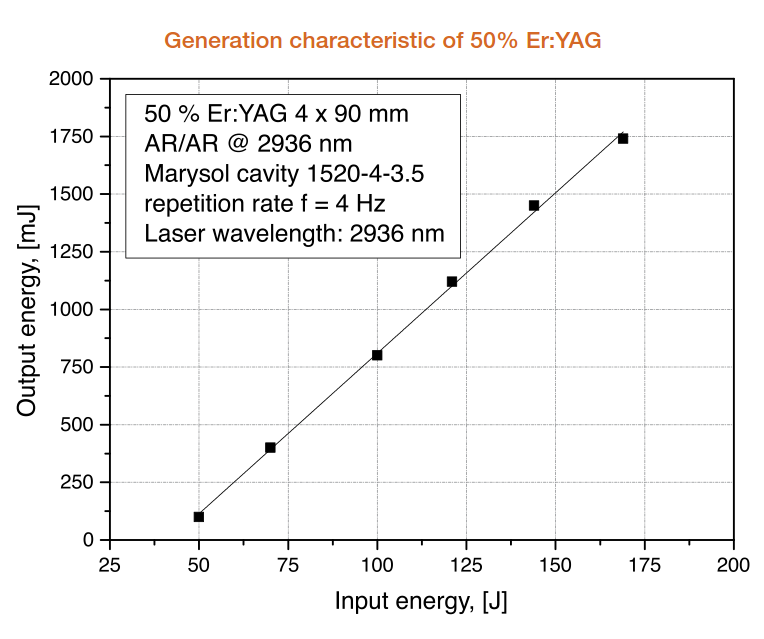 Er:YAG crystals with high doping concentration of Er3+ ions are typically used for lasing at 2936 nm. The main feature of this wavelength is high absorption in water and hydroxyapatite. Thus Er:YAG crystals are mostly applicable for construction of the dental surgery and aesthetic surgery lasers. 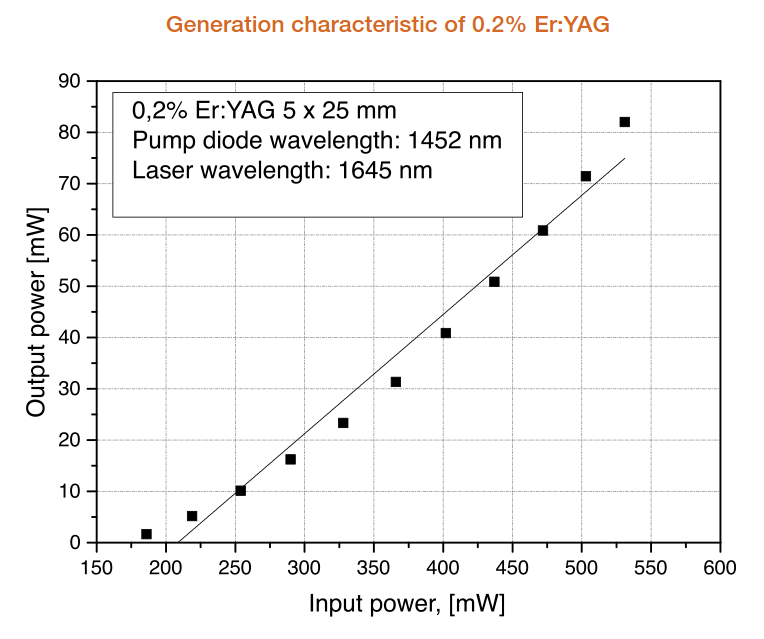 Low-doped Er:YAG laser crystals are used for producing of the eye-safe radiation at 1645 nm by in-band pumping with semiconductor laser diodes at 1,5 microns. The advantage of such a scheme is low thermal load corresponding to low quantum defect. Er doping concentration 0.2% - 50% at. Yttrium aluminium oxide YAlO3 (YAP) is an attractive laser host for erbium ions due to its natural birefringence combined with good thermal and mechanical properties similar to those of YAG. 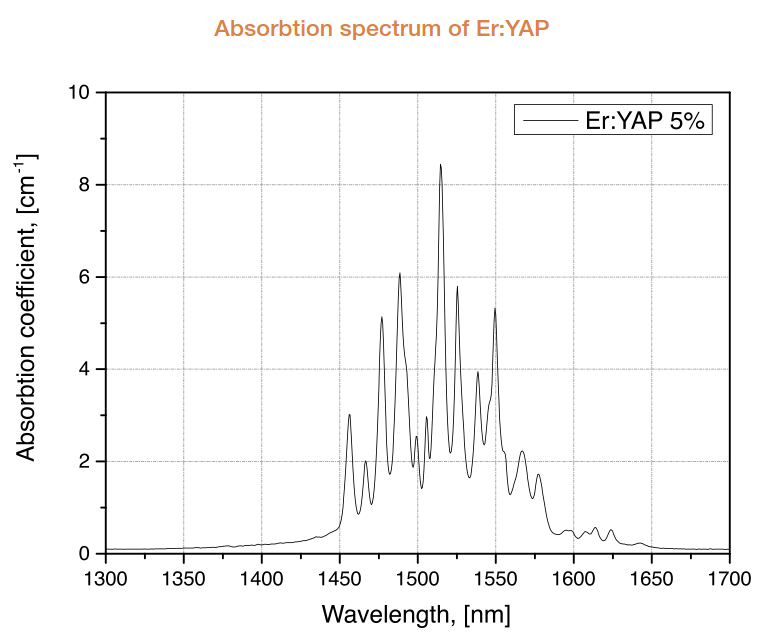 Er:YAP crystals with high doping concentration of Er3+ ions are typically used for lasing at 2,73 microns. 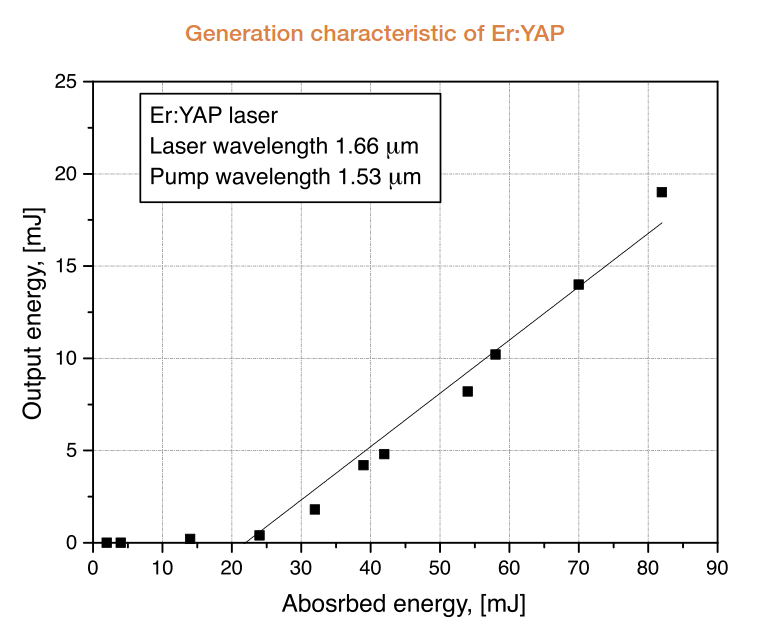 Low-doped Er:YAP laser crystals are used for of the eye-safe radiation at 1,66 microns by in-band pumping with semiconductor laser diodes at 1,5 microns. The advantage of such a scheme is low thermal load corresponding to low quantum defect. Doping concentration 1 % - 50% at.